Peace lilies are attractive indoor foliage plants that also produce showy white flowers. 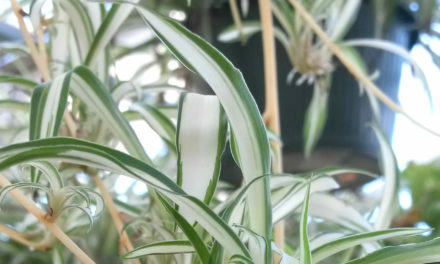 They are one of the few foliage plants that will flower in low light. The dwarf Peace Lily (Spathiphyllum x ‘Wallisii’) matures to a height of 12 to 15 inches tall. Most peace lilies grow between 1 to 4 feet tall and wide. The cultivar ‘Sensation’ can reach a height of 6 feet with an equal width. Peace lilies are sturdy plants with glossy, dark green oval leaves that narrow to a point. The leaves rise directly from the soil. These plants also periodically produce lightly fragrant white flowers that resemble calla lilies. The long-lasting flowers start out pale green and slowly turn creamy white as they open. Peace lily will flourish in almost any well-drained potting mix. Soil should be kept moist but not soggy. The soil should dry out between waterings. 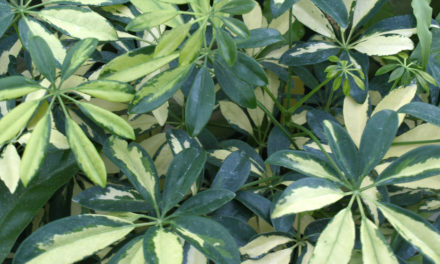 Excessive drying out can cause the plant to wilt and the leaves and edges to yellow. When watering, use water that is at room temperature. Peace lily will survive low interior light but would prefer bright filtered light. Peace lily should not be placed in direct sun or it will sunburn. These plants need very little fertilizer. If you fertilize, use a balanced, liquid houseplant fertilizer such as 20-20-20 every two to three months. Peace lilies enjoy warm conditions between 68 and 85 °F during the day and nighttime temperatures about 10 °F cooler. 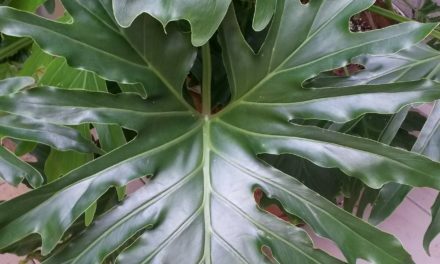 Peace lilies have wide leaves that accumulate dust. Wipe leaves regularly with a damp cloth to remove dust. ‘Flower Power’: The flowers of this selection are large, well above the foliage, on strong, very upright stems, producing an impressive display of pure white blooms. The foliage is easily recognized over most other peace lilies as it fills the pot with distinctive lance-shaped leaves. ‘Lynise’: The leaves of ‘Lynise’ have a matte finish look to them. This variety produces large quantities of flowers naturally and is a fairly rapid grower. ‘Sensation’: This is the largest of all commercially produced peace lilies. The foliage is dark green with a tough, ribbed texture. It is both durable and versatile. Its versatility has made ‘Sensation’ popular even without being in bloom. It will produce well-shaped white flowers intermittently. 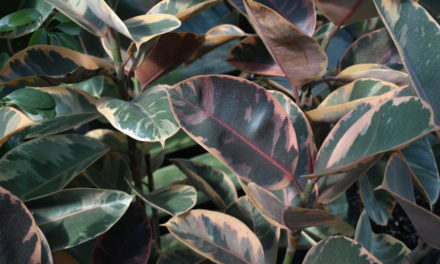 ‘Starlight’: This cultivar has a striking, shiny, tough, dark green foliage. ‘Supreme’: The large, 7-inch, oval, snow-white blooms are held high above a mass of deep green, wide leaves. ‘Wallisii’: This is a small, compact and vigorous Peace lily which matures at a height of 12- to 15-inches. It exhibits delicate, 3-inch blooms. ‘Mauna Loa’: This is one of the medium-sized Peace lilies. This plant will grow to a height of about 2 to 3 feet. Its glossy, green, lance-shaped leaves on 10- to 12-inch stalks are up to 9 inches long and 5 inches wide. The flower stalk can be 15 to 20 inches long and the flowers are up to 4 inches wide. Peace lilies have few pest problems. Mealybugs are probably the most common insect indoors. Mites and scales can also be problems. Root and stem diseases are the most common problem and are usually associated with over-watering. Peace lily is very sensitive to chilling temperatures. Injury varies with the temperature and length of exposure. Try to avoid temperatures below 60 °F. Magnesium deficiency can cause plants to become stunted. Leaf tissue between the veins may yellow while veins remain green. The edges of the leaves can turn brown by over-fertilization or by excessive drying. Lack of flowering usually occurs on plants that are less than a year old or that receive insufficient light.